Boynton Beach Police are asking for the public’s assistance in identifying a man who robbed employees of Firehouse Subs at gunpoint last month. The robbery occurred on Sept. 29, at around 8:20 p.m., inside the Firehouse Subs at 975 W. Gateway Blvd. The suspect, pictured here, pointed a gun at two employees and demanded money from the register. He ran from the store with an undisclosed amount of cash. 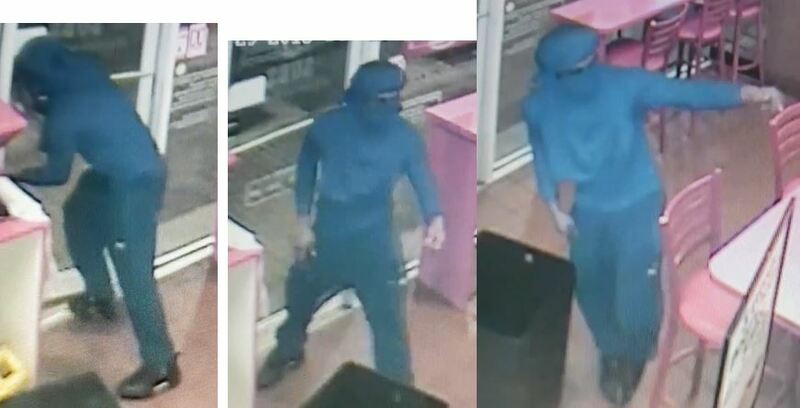 ← The Palm Beach County Sheriff’s Office needs the public’s assistance identifying a suspect wanted for armed robbery to a Dunkin Donuts.